Tribeca Play Therapy, NY, NY, Child Psychologist Child Counseling Resolve behavior problems or ADHD! 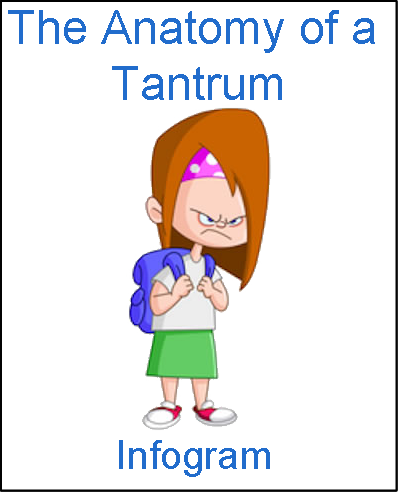 Are you tired of those temper tantrums? Do you just wish your child would listen? Maybe he can’t focus on his work and you suspect he may have ADHD. Maybe she displays anxiety or sadness and you are concerned. In my NYC experience, Child-Centered Play Therapy has been proven to help tremendously with these issues! Fully 80 percent of the children I see experience significant improvement in just 3-5 months! Play Therapy puts your child in the driver’s seat, he makes all of his own decisions in play and I follow him. This gives him or her an exhilarating sense of control over his own life, leading him to not mind being told what to do so much outside of the session! Child Therapy in my lower Manhattan office can change your child’s life! In the playroom, I show so much respect for the decisions he or she makes, that the child thinks, “Joseph thinks the things I do are important, therefore I must be important.” This raises his self-esteem, and since poor behavior is driven by low self-worth, his feeling better about himself results in improved behavior! For children with ADHD, Play Therapy develops their power of decision allowing them to strengthen their ability to choose to focus on their work! Even children with anxiety or depression experience relief with Play Therapy, as it gives them a sense of self-determination, self- value and self-respect, defusing the whole cause of their symptom. Find out about my NYC Child Therapist tricks! During Play Therapy sessions, I use the amazing technique called "Tracking," where, similar to a sportscaster describing game, I describe back to the child each action accomplished, feeling experienced or decision taken. This accomplishes many wonderful things. It gives the child insight into his or her own desires, needs, feelings and accomplishments, helping him to celebrate and respect them and thereby control them. Play is very important business to a child, and the attitude he develops towards his play determines how he feels about himself for the rest of his life! Therefore by tracking and celebrating each action, I teach him to value and respect all of his own accomplishments. This leads to increased self-esteem and self-confidence. For example, if a child sets up some toys in a particular way, I track, "Oh you set them all up in just the way you liked them," and the child learns that his accomplishments deserve respect, as the adult in the room is modeling the healthy attitude to develop towards oneself. if a child puts down a toy and goes over to the sandbox, I celebrate that decision, "Oh, looks like you've decided to play with the sand!" This leads the child to conclude: I can make my own decisions, I can control my life. The pleasure he gets from my validation teaches him that making decisions feels good, and he is encouraged to become more decisive. Child Counseling in my NYC office with Play Therapy can work miracles! A child's desires are closely related to his feelings. Therefore in the Playroom I accept, validate and celebrate all of the child's expressed desires, and he or she learns, "My needs, wants and feelings are legitimate and deserve to be heard, honored and respected." This leads the child to have more confidence in expressing his desires and feelings by speaking up and making himself be heard. One of the pillars of emotional health is a conscious awareness of one's feelings and desires. Such a habit leads a person to pursue his bliss and to lead a life of success and happiness. Play Therapy gives a child just that. In addition I directly reflect back to the child all the feelings he expresses in the Playroom, "Oh, that makes you happy!" "Ooh, you're feeling frustrated!" "Now you're angry!" In this way he or she develops the skill of verbalizing how he feels, which allows him to process, manipulate and resolve those feelings. All this over time makes the child feel so good about himself that behavior improves, emotional health issues such as ADHD, anxiety or depression are resolved, and the relationship with the parents becomes much more pleasant! Click here to find out more about how Play Therapy treats ADHD symptoms. To find out more about how Play Therapy improves emotional health, click here. It truly seems like magic how well Play Therapy works to treat behavior problems and emotional disorders! But the truth is it is nothing magic, just pure medical science and proven results. Together with Play Therapy, I do Parenting Counseling. We as parents are absolutely the most important element in our children’s lives. It is amazing how just by “Tuning up” our parenting a bit, we can effect a great improvement in our child’s behavior and emotional health. For example, I ask parents to recount to me everything that happened in the child’s day leading up to the tantrum, emotional crises or misbehavior, and then we go through it step-by-step and re-plan how we would have interacted with the child differently in such a way that would have prevented the entire problem from arising in the first place! When working with parents, I don't make them feel criticized about their Parenting style, and I don't tell them what to do. I have the deepest respect and admiration for the heroic efforts of raising their children most of my parents are making. I believe that they possess within themselves the innate wisdom to resolve their child's issues, I just help them to develop that wisdom and bring it out into practice. To accomplish this I use Socratic questioning, gradually helping parents to come to their own original realizations about what they need to do to help their child. My experience working with many children and families inspires me as to how to guide parents. For example, very often parents are issuing to their child just a bit too many commands or directives, too many do's and don'ts, leaving the child feeling a bit bossed and micro-managed. This can create resistance and unwillingness to listen. Therefore I help parents gain an awareness of exactly how many commands they usually tend to issue, and then we go through them one by one and decide together which ones we can safely cut out, leaving the child with a greater feeling of self-determination, which makes him or her more willing to comply with the fewer remaining commands! I have seen this technique work miracles with defiant children! Click here for a detailed discussion of how to deal with defiance. Click here to find out how Parenting Counseling can reduce ADHD symptoms. We must remember that most of children’s problems are caused by a low happiness level. The child feels bored, frustrated or powerless, and he misbehaves or develops symptoms in a desperate attempt to relieve his unhappiness. Therefore by learning how to swoop in and inject happiness and emotional fulfillment into his or her day at key points, we totally resolve the problem. Play Therapy and Parenting Counseling are an extremely effective double tool with which we do that. cites the numerous research studies supporting Play Therapy's effectiveness in treating child behavior problems and emotional issues. Furthermore, NYC child psychologist Dr. Jane Framingham, Ph.D. in her article on PsychCentral, says that through Play Therapy, a child develops self-confidence, a positive self-image and learns to express feelings, make decisions and cope with real-life situations. Play Therapy is a medical treatment administered by a specially trained professional. In the playroom, I use a special technique called tracking, where similar to a sportscaster, I reflect back to your child every decision taken, feeling expressed, or accomplishment earned. This gives the child tremendous insight into his own mind, feelings and actions, empowering him. It gives the child conscious awareness of his emotional life, one of the pillars of mental health. In addition the attitude of tremendous kindness, generosity and respect I display towards children in the playroom is immensely healing. I have seen amazing results with Play Therapy! The truly wise person is someone who seeks advice from those that have it when he has a problem. Why should you and your child suffer from common errors when you can be guided by someone who has been through it and can teach you how to avoid all the likely pitfalls? Good parenting advice is truly gold! Child therapy is an early intervention. A typical problem will take 3-5 months to treat as a child, and if left untreated will take 2 years as an adolescent and 5 years as an adult! Dealing with the problem now nips it in the bud and saves you from so much trouble in the future! The truth is, the benefits of Play Therapy and Parenting Counseling to your child and the whole family’s emotional health is so great that therapy is actually a steal! In addition, I offer a sliding scale for select clients under financial stress. I have been working with young children in New York City for my entire life! My mother owned a Montessori school in Brooklyn, and I grew up working for her through college. I was a teacher for many years and since 2009 have been full time in child psychotherapy. I have four of my own boys at home. I truly understand how it feels to be a young child, and I have the experience to guide you in sorting out their thorny issues. Many parents seek the help of a NYC Child Psychologist or Play Therapist! Feel free to peruse my interesting parenting blog, the specialties on this website, or download on of my informative free reports. If you have any questions about Play Therapy and Parenting Counseling, and would like guidance or treatment from a child therapist in lower Manhattan, you may call me at 646-681-1707 for a free 15-minute consultation. I look forward to speaking with you! To see fascinating tips about how to get kids to clean up, click here. Is your child easily distracted from his work? Does the teacher complain that he just can’t seem to focus in class? Does she seem to have a very short attention span? Does he miss information and directions? Your child’s mind may seem to constantly wander, and he might struggle to tune in. He or she might become bored easily and constantly switch from one activity to the next. Does she seem to daydream? Is he disruptive? Is she rash and impulsive, acting without proper judgement? Is he hyperactive and acts as if driven by a motor? Is she extremely fidgety? If so, your child may have ADHD. Does he frequently tantrum? Does she have fits of anger? Is he defiant or willful? Is there constant sibling conflict? You may feel embarrassed by how your child behaves in front of other people. Perhaps you are tired of the teacher calling to complain. You may see your child’s struggles and suspect that he has ADHD. Maybe he can’t focus on his responsibilities or refuses to go to bed, bathe or do homework. Do you just wish your child would listen? Are you frustrated with your child? Are you having difficulty with discipline? Do you feel like no matter what you try, your child just won’t listen? You may be unhappy with your child’s progress in school. Or, maybe you are struggling to resolve endless sibling conflict. Do you feel you are going at it alone and lack guidance on how to be an effective parent? Is he often tearful or sad? Does she no longer seem to take pleasure in activities she used to enjoy? Does he become irritable and angry more often than he used to? You may grow concerned as your child becomes increasingly tired or socially withdrawn. Maybe she hasn’t seemed like her usual self lately, but you aren’t sure what has changed or how you can help. Are you at your wits’ end as you struggle to know how to help your child? Do you wish you could just have your happy child back? Does your young child become agitated over seemingly minor things? Does she seem anxious or nervous during different times of the day, such as when leaving for school or going to bed? Does he have trouble falling asleep as his mind races? Your child may become preoccupied and worried about potential obstacles or unlikely consequences of his or her choices. Perhaps he has developed compulsory habits, such as nervous tics? Have teachers and family members reported that your child seems anxious? Play therapy is a medical treatment administered by a specially trained professional. Talk psychotherapy with adults treats emotional and behavioral disorders, and this is the same process adopted for children. It meets the child where he is, at his level of communication, instead of asking him to use adult communication that is still unfamiliar. It requires a great understanding and familiarity with the point of view and the mind of a child. Abundant research supports its effectiveness to treat a whole host of child emotional and behavioral issues.